Following the finalization and delivery of all subsystems and components, ISIS successfully passed the formal integration readiness review for the first Royal Thai Air Force Satellite. This will be the first Earth Observation satellite of the Royal Thai Air Force enabling independent space operations capability. 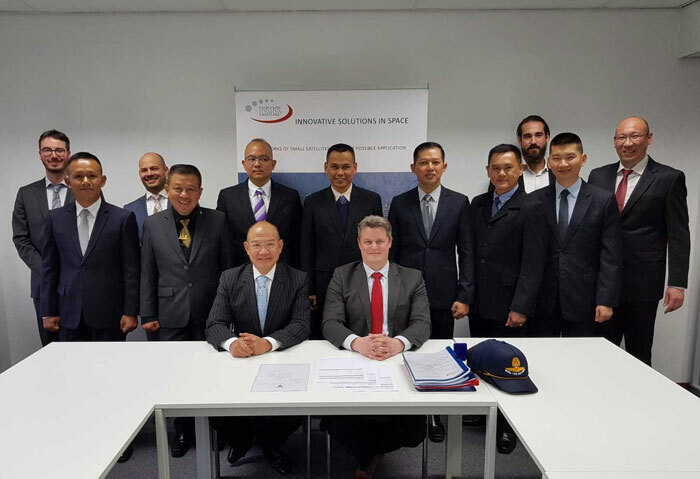 For the formal review, a delegation of the Royal Thai Air Force forming the acceptance committee for the RTAF project visited our offices in Delft, the Netherlands, to perform hardware inspection and prepare for the final phases of the project. 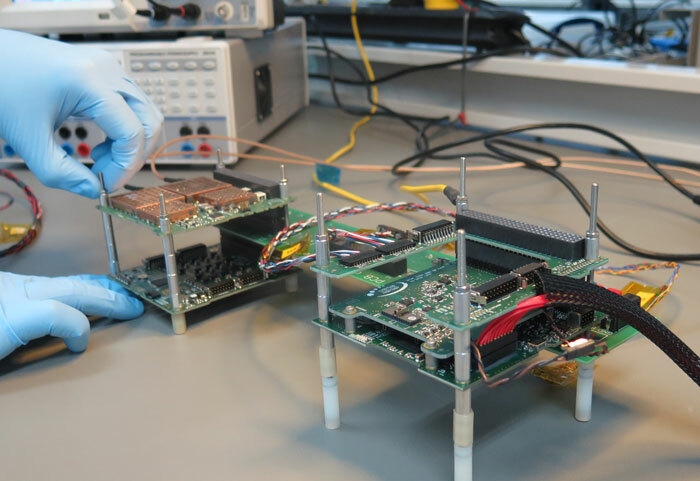 Upon passing this important milestone, the ISIS system assembly, integration and verification team has commenced the process of building the satellite together, starting with testing the core avionics subsystems in a so-called ‘flat-sat’ setup, prior to integration the full satellite to prepare it for system level testing and verification. The RTAF mission is a showcase turn-key mission that ISIS offers to its customers, consisting of a complete 6U CubeSat with camera payload, ground segment including mission control system, launch services, commissioning and training for operations of the satellite. In the coming months, the RTAF satellite will be integrated, tested and prepared for launch on board the VEGA SSMS launch this summer.